EVANSVILLE, IN (WFIE) -Evansville Thunderbolts Right Wing Shayne Morrissey may have the hottest stick on the team as of late. Morrissey would come into the night scoring in consecutive games, and would do it again tonight in Roanoke, however it wouldn’t be enough as the Thunderbolts fell to Roanoke Rail Yard Dawgs, 4-1. Morrissey’s goal came late in the second period, off of a perfect feed from Max Mikowski. The goal, also assisted by Carter Shinkaruk, was scored at 16:31 of the second period. It would be a good night for the penalty kill, as Evansville was able to kill off all three Roanoke power plays. Alex Murray was strong in net, stopping 30 of 34 shots on the night. Both teams meet again tomorrow night in Roanoke, once again at 7:05pm ET, 6:05 CT. 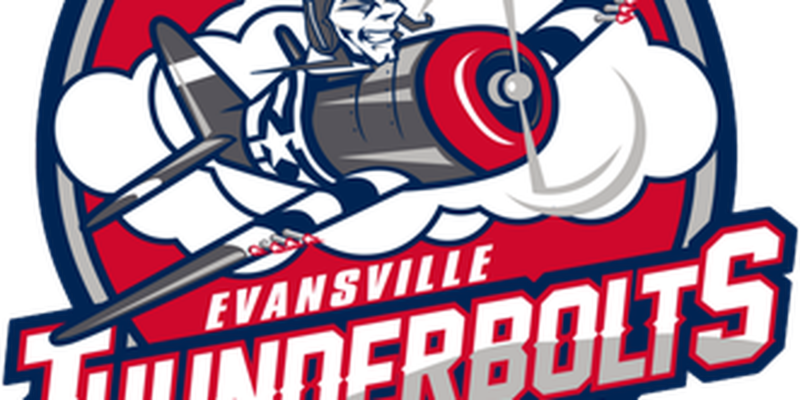 The Evansville Thunderbolts return home on Friday, February 8th, as they host the Huntsville Havoc. Puck drop from the Ford Center is set for 7:15pm CT. You can get tickets online at EvansvilleThunderbolts.com, or in person at the Ford Center Box Office.